A classic winter scene crossing the Yampa River. Photo courtesy SpillaneCreative.com. 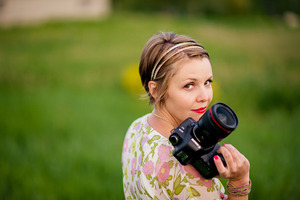 Local portrait photographer Hilary Spillane fell in love with Steamboat Springs’ beautiful landscape and tight-knit community after moving here in 2007. Married to former Olympian and world champion Nordic Combined skier Johnny Spillane, this Utah-born mother of two runs Spillane Creative. Knowing the significance of capturing a photographic record of vacation memories, she has advice to share. Photographer Hilary Spillane knows how to capture the perfect winter family portrait. When is the best time of day to take pictures during the winter months? My favorite time of day is always in the evening just before sunset when the light is glowing. If it’s overcast, I like to shoot earlier in the day when there is more light and it’s typically warmer. Any advice for a bright snowy day when trying to capture active moments on the mountain? If you have a camera with manual settings,try using a faster shutter speed to more easily capture skiers or riders on the mountain or tubers at Howelsen Hill. There is a lot of light, which means you’ll catchall the action, but white balance can cause problems because of sun and white snow. On automatic settings, the camera tends to lean more to a cool hue, so you may need to manually compensate. Try photographing the action with the sun behind your subject and expose for their face. This will lessen the shadows and help with squinting. Do you have any favorite places for capturing the quintessential Steamboat winter photos? Nothing says Steamboat more than the iconic barn across from City Market, with the mountain in the background. I also like taking pictures on the bike path because it gets plowed almost daily. In terms of equipment is there anything special you would recommend for an amateur photographer? A DSLR camera and one nice lens. My favorite lens right now is a 35 mm 1.4. I shoot with a Canon 5D Mark iii. What would you advise for taking pictures at night? I’m a natural light photographer and I always prefer not to use a flash, which means you have to take a few things into consideration. Have fun and take some artistic freedom. Photographing the fireworks and lights during Winter Carnival can make for some pretty amazing shots. Use a tripod, long exposures and play with your ISO and aperture settings to get different looks.